Today, we want to share with you 5 Tips for Creating Your Dream Closet from our friends at Zillow, the leading home and real estate marketplace. I am honored to be chosen as one 5 hand-picked bloggers/designers with stellar content in a round-up to be featured on Zillow Digs Guides about how to refresh your space for spring. Having a big, organized closet makes getting ready for the day a much more pleasant process. While you don’t have to rock designer duds everyday, or spend a lot on your wardrobe, you can certainly hang your clothes in a closet fit for a king or queen to keep them in good condition while streamlining your daily routine. Plus, for homeowners, making permanent installations may help increase the value of your home. 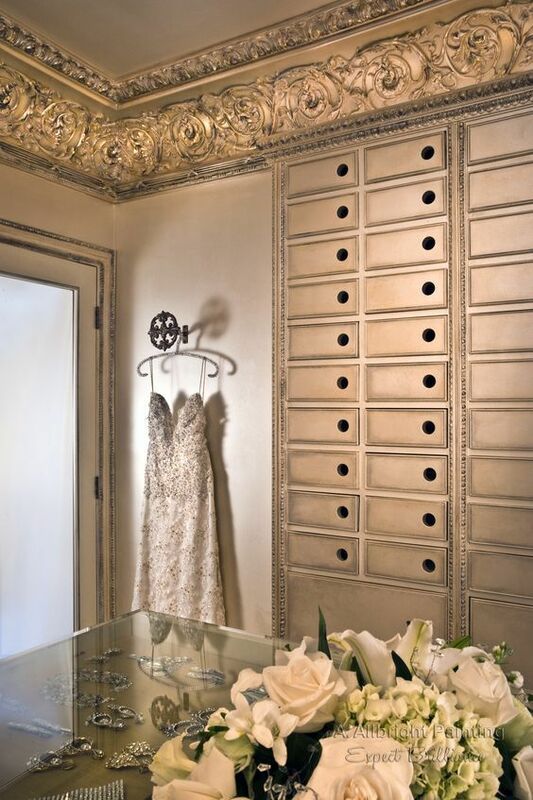 To build your luxury interior design closet, incorporate the following steps into construction and/or design. When planning your closet design, you’ll first want to imagine the best location in your home. Don’t fear if your place lacks the huge walk-in with pre-fixed shelving and rods – you can add those later so they fit your wardrobe flawlessly. Maybe you have a home office space you don’t use as often as you’d like, or it’s large enough for you to delineate one half of the room for work and one half for dressing. If you work or write in fashion or lifestyle, featuring your wardrobe in the same room might even act as daily inspiration. 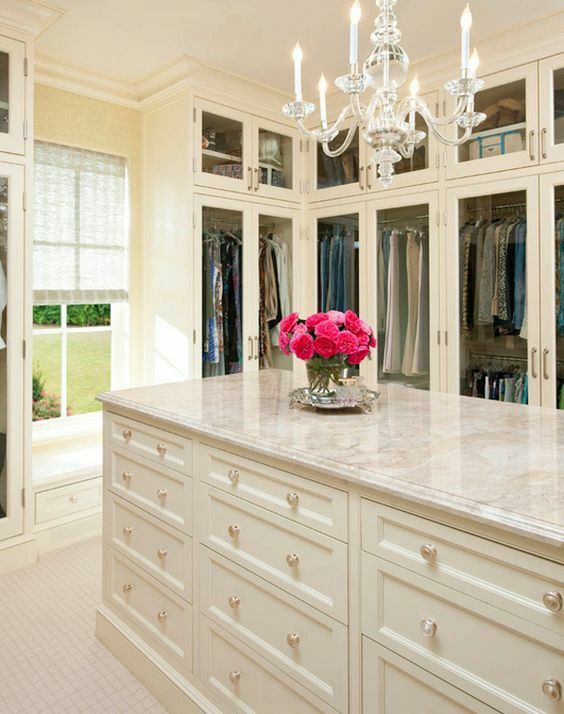 Light fixtures in closets, especially ones that lack natural lighting, are key. Choosing the appropriate outfit requires proper illumination. Items end up showing sheer once you get into the right lighting, so bright, overhead lights help avoid embarrassing wardrobe malfunctions later in the day. Opt for elegant styles if you’re emanating a celebrity-style closet. Choose a sparkling chandelier or globe pendant. When installing, allow a 30- to 36-inch margin between the light fixture and top of the surface below to ensure safety and light balance. Glass and Lucite are faultless fittings for closets because they add sophistication without crowding what is otherwise a fairly tight space. And, they are contemporary pieces, so when it comes time to sell your home and appeal to buyers searching in your area, you won’t deter them with an overly-feminine space. The morning rush doesn’t allow much time for neat folding, so make it a habit to clean up at the end of the day. Staying organized with your belongings will ensure your wardrobe stays tidy and in good condition. Keep things that are easy to maintain on display – think shoes, scarves and purses. All other non-hanging clothing should go into drawers. This way, you aren’t forced to keep shirts and pajamas perfectly folded on shelves. Keep your unmentionables and jewelry stowed safely. An island makes a statement in any room, but especially a closet since it’s rare to see. 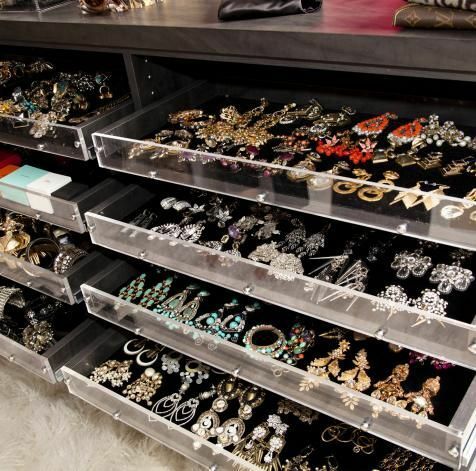 If you can build a separate structure in the middle of the closet, store accessories and smaller items like jewelry. Purchase drawers with velvet lining to ensure delicates stay in pristine, untangled condition. Some islands feature a glass top, so fashionistas can browse their jewels and accessories without opening drawers, but this can increase the price of your project. With a little foresight, designing a dream closet is fun and can increase the value of your home, assuming you are making permanent installations. Overall, make sure to keep things organized and take care of your belongings – after all, what’s a beautiful closet if you can’t show it off each day? « Meet The Winners of the 2016 Design Bloggers Hall of Fame Awards! WOW! What a gorgeous closet!! The crown moulding is AMAZING. One of my biggest problems during remodels was overshooting budget. Planning to spend more than your initial projected costs will provide you with a cushion, so you’re not stressing over unexpected delays or other changes when they arise, as a word to the wise!! Even something as simple as a closet can get PRICEY.